Daryl Johnson (Worcester Park, United Kingdom) on 25 February 2010 in Architecture and Portfolio. 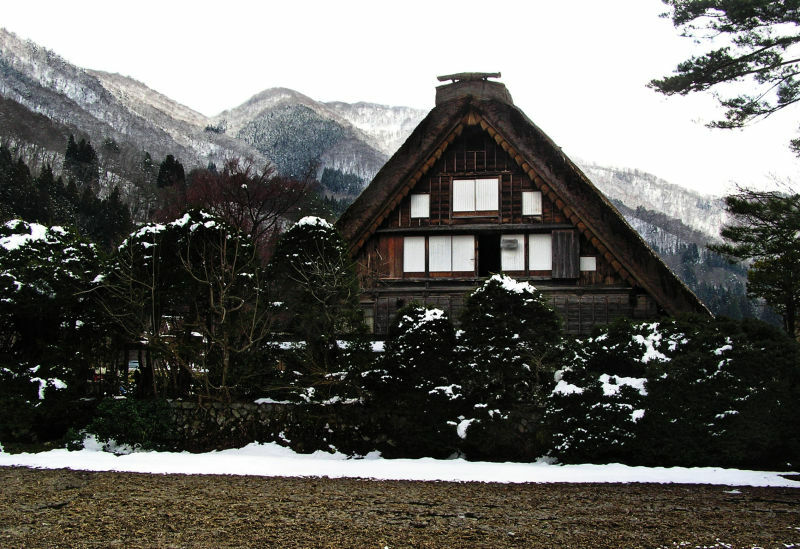 One of the largest gasshō-zukuri houses in Shirakawa, and one of the best preserved. The Wada family still own this, and run it as a museum. I'm going to be taking a short break - see you next week! A lovely composition with the mountains behid! Looks like the box of toys I had a long time ago, but it was in europe!! A beautiful house and setting. See you then. Are you certain this is not in the Black Forest of Germany? ;-) Love the composition with just the right amount of branches at the right side! The house looks born from the landscape . . if only all buildings could look this way. A very nice traditional house in a fantastic surrounding ! @Twelvebit: It was good to see one in such good condition, and to be able to walk around inside it.